We were recently commissioned by Outside Studios to build some key props for an exhibition called ‘Sanctuary from the Trenches’ at Dunham Massey Hall, a National Trust House. During the First World War this Georgian mansion was transformed into a military hospital where 282 soldiers were treated and convalesced between April 1917 and January 1919. The operating theatre, table and figures which we built to Outside Studios designs are positioned at the foot of the grand staircase. The figures are intriguing as they have no features – it’s as if the people have left and their clothes suspended in animation. 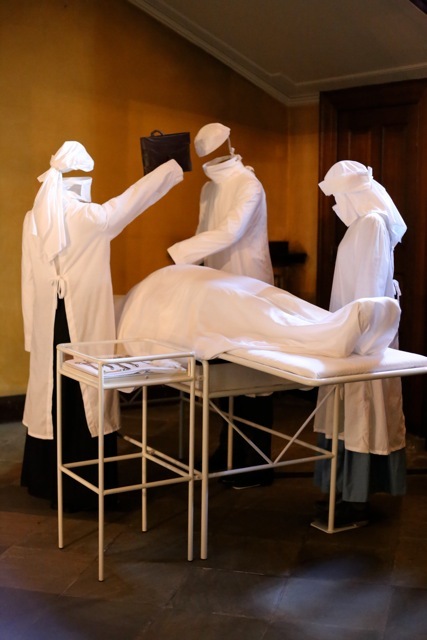 One of the figures is of Lady Jane Grey, daughter of Lady Stamford, who helped to run the hospital and assisted with the operations. 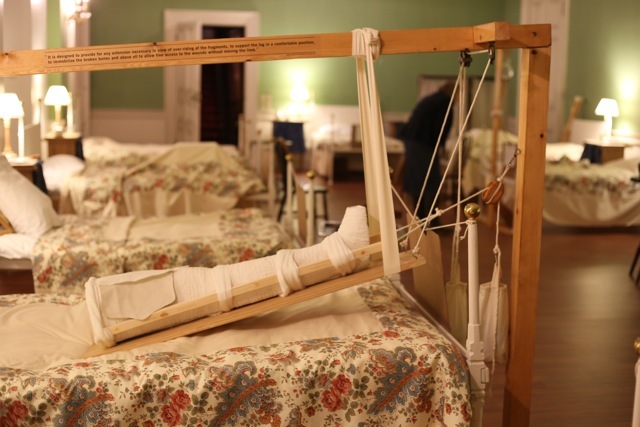 We also constructed medical apparatus and casts, many of which were devised during the Great War to help thousands survive and recover from their injuries. This exhibition is a fascinating insight into how our great houses were adapted to help with the war effort. Further details from https://www.nationaltrust.org.uk/dunham-massey/.